Library News > The Library is Changing. Have your say! The Library is Changing. Have your say! 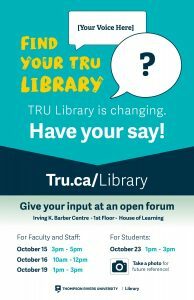 Yes, the TRU Library is undertaking the development of a new five-year strategic plan and changes are underway! For us to provide excellent spaces, resources, and services, we need to know what you use, what you need, and what you can imagine. We encourage you to complete our online survey, attend a forum or focus group, or both! 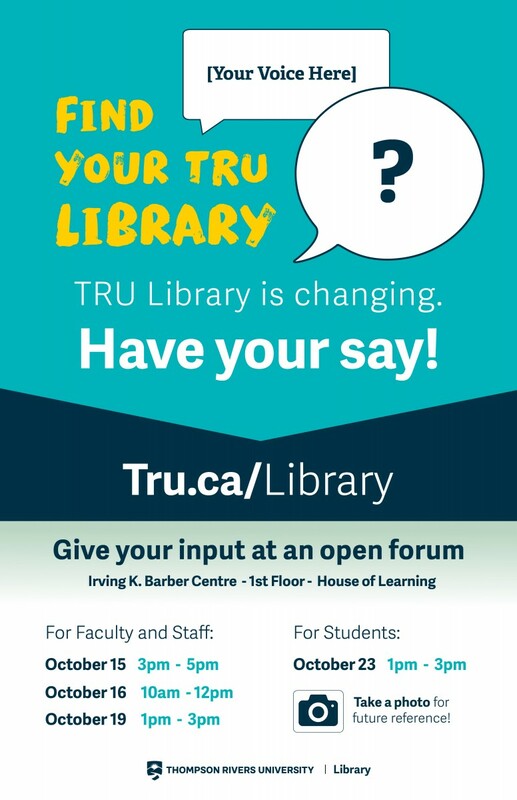 There will be open forums held in the Irving K. Barber Centre on the 1st floor – House of Learning. « Celebrate Science Literacy Week with TRU Library!